When I was a premed student at Dartmouth in the 1980s the only procedures were RK and AK. These are incisional procedures where the surgeon makes manual incisions to change the shape of your cornea. This technique was discovered by Dr. Filatov, an eye surgeon in Ukraine when he treated a child who fell off his bicycle, shattered his eyeglasses, and lacerated his cornea with many cuts. Fortunately each incision only went 99% through the cornea and didn’t perforate, or else the aqueous humor would have leaked out. Dr. Filatov decided to patch rather than sew the eye, since suturing always distorts the cornea and induces astigmatism. Miraculously, when the patch was removed, not only was his cornea intact–the child’s myopia had disappeared! I had followed the progress of refractive surgery myself since the 1970s, my interest was selfish back then–I was very nearsighted because I had the genetic predisposition from my parents. By the time I was at Dartmouth the older Russian technique had been supplanted by the American technique, that used a diamond blade. These procedures were unpredictable and did not yield stable results. In the 1980s, when I was at Columbia Medical School, two ophthalmologists invented laser vision correction by patenting the excimer laser, which is used in 99% of cases today. These surgeons were Stephen Trokel and Francis L’Esperrance. The original patent for the excimer laser was held by IBM, which had developed it in Armonk, NY for possible use to etch silicon wafers for computer circuit boards. This use didn’t pan out, but my two smart preceptors’ “use patent” to use this technology for eye surgery did. Thus was born a billion dollar industry! Unfortunately, Drs. Trokel and L’Esperrance licensed their patents to competing companies. Dr. Trokel’s company became VISX, which is the market leader in refractive surgery in the US, with more procedures performed on the VISX platform than all other brands–combined. This is the market saying that most MDs feel the VISX laser is best (including myself, as I’ve used every laser, but own a VISX). Dr. L’Esperrance’s company was Summit, which was bought by Alcon, which never achieved more than a small market share, and whose laser got pulled off the market by FDA around 2009, so they bought another company and rebranded their laser. I know a lot about the history of laser vision correction because I was there. Dr. L’Esperrance is the one who actually first trained me on an early Alcon laser. Both doctors inspired me to conduct applied science research, and I’ve got 2 US patents granted and 1 pending for new ophthalmology inventions. Eventually these two competing companies engaged in “patent wars” after a long legal battle both companies were tired of litigation, so agreed to merge their patents into a “patent suite” and just collect royalties from the “end-users” (doctors like me!). This is why, even though I bought my VISX laser for $500,000 and own it, I have to pay a “click fee” every time I use the laser (which is about $250/ eye for low-def and $500/eye for Hi-Def). Because of this royalty/click fee the VISX laser is by far the most expensive laser on the market in the US to operate. But top surgeons in the US have stuck with this platform because we feel it’s the most robust. Of course, a surgeon choosing VISX will have to charge more, as his costs are more. For example, I did over 1,000 LASIKs on the Nidek laser (with a $1,000 less cost basis) when I was just starting out working as a “shooter” for a discount “laser chain” up in Boston. While results were good, that laser didn’t have the ability to correct hyperopia, so we had to be overly conservative with our nomograms because we didn’t want overcorrection’s because we couldn’t go back in the other direction. Which lead to a lot of under-corrections and reoperations, which isn’t ideal. In any case, during the end of my time at Columbia University’s College of Physicians and Surgeons, I’d decided to go into ophthalmology as my specialty of choice. This was a surprising coincidence, as it would make me a third-generation eye surgeon! My grandfather grew up in China but fled to Hong Kong to escape communism. He eventually became a famous eye surgeon there and even served briefly as Minister of Health. My uncle has been a prominent retinal surgeon at Harvard for 30 years, with his own Retina Fellowship Program (it’s very prestigious to run a fellowship program, only 1% of surgeons continue on to subspecialize and complete a fellowship, which means you’ve been chosen to train the next generation of sub specialists in the country). Fortunately, I was accepted by Harvard, and started my residency there in 1993. Everyone there was brilliant, so it was an incredible environment to learn not only the latest surgical techniques, but to conduct research.As a resident, I published articles in the top 3 eye journals in the world (Ophthalmology, Archives of Ophthalmology, and American Journal of Ophthalmology), which I was very proud of. In 1995, I performed my first RK and PRK procedures, and both patients saw 20/20. However, I was concerned about the manual nature of RK, and the pain and delayed recovery in PRK (the original type of laser vision correction, and the older form of surface ablation). Two of the doctors at Harvard I had published clinical research with in Ophthalmology, Jon Talamo and Juan Carlos Abbad, invented LASEK. In LASEK, an alcohol solution is used to delaminate the epithelium or skin of the eye from the underlying cornea. This gentle, clean separation prevents the crushing of millions of epithelial cells that occurs in PRK, which is the cause of the pain and delayed healing after PRK. Because I was very nearsighted and astigmatic my entire life (-7.50 -1.50 x 180 in both eyes), and had followed refractive surgery since RK in the 1970s, I was fascinated by the field. I decided to be a true expert in refractive surgery. 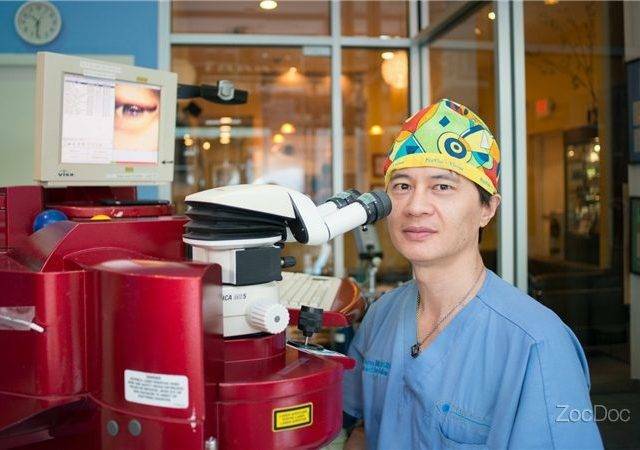 The most famous refractive surgeon in the US is George Waring III. I got accepted into his fellowship program and was his Corneal Transplantation and Refractive Fellow from 1996-1997. Dr. Waring is the one who lead the group in the 1990s who conducted the FDA-sponsored national study called PERK that proved RK isn’t stable. This is why no competent surgeon in the world performs RK anymore. I performed my first LASIK in 1996 under George Waring, and was ecstatic when the patient wound up seeing 20/15, or better than “perfect” 20/20 vision. However, I was petrified when the microkeratome was cutting the flap, as that’s a step we surgeons need to leave under the control of a machine, and I’d seen patients blinded permanently during that cutting step. From 1997-2000 I worked as a “shooter” at one centre in Boston and two other centers in NYC, including TLC, which at that time was the largest chain in the world, listed on Nasdaq, and with a market cap of $1 billion. Although I got incredible surgical experience and performed about 5,000 LASIKs, including my record of 56 in one day, I grew disillusioned by the “factory” nature of their business. Laser chains and discount laser centers always have non-MDs (either ODs who don’t go to medical school and aren’t trained in surgery, or even less qualified “techs”) do the preop testing and postop exams. Then they have a MD come in 1-2 days per week to do the surgery, he has to rely on the testing done by the non-MD on a different day, as those are the numbers entered into the laser to correct the Rx. While this is the most cost-effective way to run a laser centre (because you’re only paying for an MD 4-8 days out of the month) it’s not the best way to deliver optimal patient care. I realized that any surgeon who relies on a non-surgeon’s data for surgery is not playing it safe. So I quit my “shooter” jobs shortly thereafter. In 1999 I had my own LASIK performed. At the time I was the first LASIK surgeon in NYC to have the procedure myself, my former Chief Resident at Harvard, Roberto Pineda MD performed it. At the time I had a live weekly AM talk radio show in NYC where people could call in and ask LASIK questions. So we simulcast the surgery from the OR in Boston to my audience in NYC. That’s the first time this was done! My surgery went well and I got rid of my myopia and astigmatism and got to 20/20. However I had dry eyes and have to take tears daily, because my corneal nerves got cut by cutting the LASIK flap. I also had bad night glare, also caused by the LASIK flap. In 2000 I became a partner in a LASIK centre on West 14th St. We were a very small operation, which was good, because in 2001 9/11 happened, which destroyed the laser vision correction market in the Tri-State area for a year. I was actually the very first MD to arrive at WTC after the towers were hit. How this happened is an interesting story. In 1993 I was an intern at St. Vincent’s hospital when WTC was attacked the first time. As the closest Level III trauma centre to WTC, all the doctors weren’t allowed to leave, to handle the flood of victims. That lesson stayed with me. So when I saw the twin towers burning from my apartment building I fed my dog, Hershey, walked him, put together an emergency first aid kit, put on my rollerblades, and headed downtown. I missed having them come down on my head by 10 minutes. I met some nurses and EMTs down there and we thought we were at the wrong corner. It took us a while to figure out that the 100′ pile of rubble we were next to had once been a 1000 foot tower. We set up the first triage centre, the first ER, and later, once it became apparent we would be seeing mostly fatalities, not casualties–the first morgue. I volunteered at WTC for the first 10 days, until FEMA had things finally under control, and we could go home. I wound up with asthma from working on “the pile”. By 2002 the centre I was a partner of was going bankrupt because post-9/11 nobody was even thinking about cosmetic surgery. But I thought of a way I could create a totally new centre, based on a safer way of doing laser vision correction. So I bought out my 2 other partners (one was an OD and one was a MD). 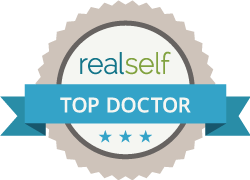 In 2003 I performed my first IntraLase procedure. This replaces the metal blade used in LASIK with a laser to cut the flap. The advantage is you have fewer flap complications. You can also cut thinner flaps to treat thin corneas, higher Rxs, and leave more tissue untouched so the eye is safer. Yet you still cause dry eyes by cutting corneal nerves and night glare from the flap interface. The flap can still come up and be torn off years later by relatively minor trainer like getting poked in the eye (which is why LASIK is contraindicated in boxing, martial arts, contact sports, and for Special Forces and military pilots). If thinner is better, like the femptosecond-laser-flap companies say, the logical conclusion is that the safest flap is a zero-micron flap: which is no flap at all! By 2005 I had my technique so refined that I stopped performing LASIK and decided to be the first surgeon in NYC to go 100% flapless. It was a bold move. Many eye surgeons said I wouldn’t succeed because “the average patient wants a quick recovery and low price–they’re not willing to pay more for a safer procedure with better final visual results if they’ll have to take 1-2 days off from work”. I disagreed. I knew that patients wanted a safer procedure. How else to explain that 2 million people in the US had had LASIK, but 200 million were in glasses or contacts? In 2006 I moved my centre to Park Avenue. I decided to build the only glass-walled OR in the US to show the world we had eliminated all complications in the OR by not cutting flaps. People on the sidewalk could watch me perform LASEK without my worrying they’d witness a flap complication. We installed the latest in temperature and humidity controls and installed special UV glass so our all-glass OR would be better controlled. In 2007 I purchased an epikeratome which is a machine to remove the corneal epithelium in one clean sheet without alcohol, thereby making recovery after epiLASEK even quicker than LASEK, and approaching the recovery time of LASIK, while still being 10x safer by eliminating all flap complications. We still have the only epikeratome in NYC, which means no other centre in NYC can perform epiLASEK. In 2009 we conducted a study proving leaving the epithelium off after LASEK and epiLASEK promotes faster healing than replacing it. The difference between these Advanced Surface Ablation techniques and PRK is the en bloc epithelial removal–not whether it’s replaced at the end. Similar studies were published by other top refractive surgeons around the world. So now Epi-off epiLASEK has become the gold standard worldwide for ASA. In 2011 we presented at ASCRS the largest series of extreme prescriptions that were successfully treated by LASEK and epiLASEK: nearly 200 eyes, all worse than -9! In 100% of these patients we made them see better without contacts or glasses than they had ever seen with them, all been turned down for LASIK! 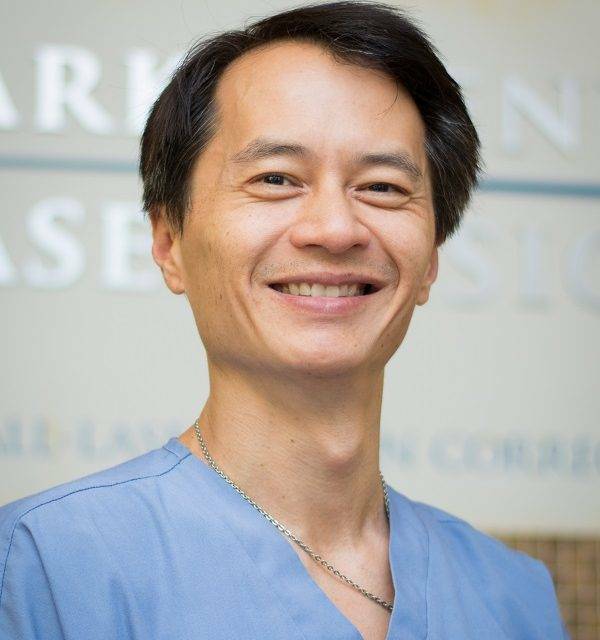 Dr. Chynn has honed his technique over the past decade that when he performs a LASEK it’s 100% painlessand you only have to take 1 (epiLASEK) or 2 days (LASEK) off from work! 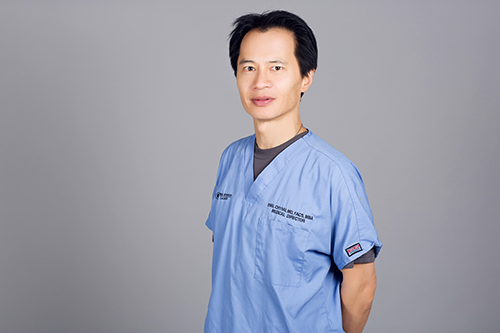 In late 2012 at ESCRS Dr. Chynn presented the largest series in the world of ASA procedures in amblyopic (“lazy-eyed”) patients where we made them gain useful vision in their lazy eyes. 100% of patients filling out a postop questionnaire said if given the choice they’d have our LASEK procedure again–thereby proving that they gained real functional vision! 100% of these patients also had part of their procedure paid for by their medical insurance. I’d like you to understand that I myself have performed every type of laser vision correction that exists. I’ve used every laser out there. I’m not saying that procedure X on laser Y is the safest and yields the best visual results with the fewest complications because I’m doing X procedure and using Y laser. I want you to understand my personal history and growth as a refractive surgeon so you understand why I transitioned from LASIK to LASEK. No surgeon in the world would switch to a less safe, worse technique with inferior results. That’d be illogical, morally reprehensible, and economic suicide! 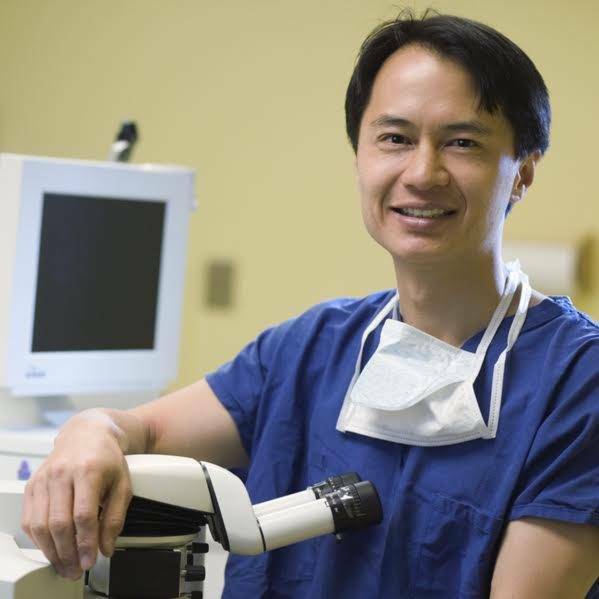 Ask Dr. Chynn anything by e-mail, he replies to all e-mails personally! You cannot get a safer non-cutting procedure that is safe for people with thin corneas and high prescriptions who can’t get LASIK, that leaves more cornea untouched and thus stronger in every patient, avoids the dry eyes and night glare caused by cutting a flap, with a higher chance of 20/15 vision, with preop testing and postop exams by real MDs, with a staff who has also had LASEK, by a surgeon who has degrees from Dartmouth, Columbia, Harvard, Emory, and NYU, who will do everything in his power, using his excellent training and extensive personal experience, to give you the best possible vision for the rest of your life. Yes it may be a bit more expensive (or the same price after your medical insurance–plus we can charge you the same amount per month that you’re currently wasting on contacts or Starbucks). Yes your recovery will require you to miss 1-2 days of work (but we can give you a doctor’s note so it comes out of sick not vacation time). But we think these are reasonable trade-offs when it comes to the vision for the rest of your life. 20,000 procedures prove that many people agree. We hope you will, too, and make the wise choice and call us to book your Free Consultation with us. You have nothing to lose besides your glasses!